Earlier in April, DOT officers started fully enforcing ELDs. Carriers and drivers must maintain ELDs and understand how to go through an ELD inspection. Unfortunately, since April, many drivers and fleets earned ELD mandate fines for avoidable mistakes. Let’s look at some strategies on how to avoid ELD mandate fines. 1) What are some common ELD mistakes and how can fleets avoid fines for those avoidable mistakes? 2) How can first-time fleets avoid ELD mandate fines? FleetWaves, a freight industry news outlet, recently published a collection of severe violations. From this list, let’s take a look at common mistakes. Some people might wonder, “How can I get fined for failing to provide documents if I already have an ELD?” The most apparent reason relates back to a lack of training. It is evident that some drivers are unable to use their ELD properly, and as a result, run into problems during inspections. The biggest tip is to train drivers on how to use their ELD. For example, Geotab Drive users can submit logs via web services, emails, or screen displays. Drivers should learn each of the three methods in case a function stops working. Another common fine is keeping unassigned driving logs. This usually occurs in drivers that try to “hide” their logs. In other words, some drivers try skimming hours by logging out of their ELD device and then marking their driving time as unassigned. However, ELD devices are smart and keep an unassigned log record. Inspection officers are often not impressed when they see several unassigned hours in the log’s history. Managers must teach drivers to respect the ELD system. ELDs specifically stops hour skimming. Therefore, attempts to hide unassigned hours will likely result in fines. Another common ELD mandate fine occurs when drivers improperly edit hours. ELDs allow drivers to edit and add driving time. Some drivers, whether on purpose or lacking HOS legal knowledge, abuse this ELD function. For example, HOS laws allow drivers to add driving time for Adverse Conditions. However, the ELD keeps a record of edit notes, location and time. As a result, when officers see an Adverse Condition edit every single evening, they will likely issue an ELD fine. Fleets should host regular in-person HOS training and provide legal guidebooks. Let’s stick with the Adverse Conditions example. 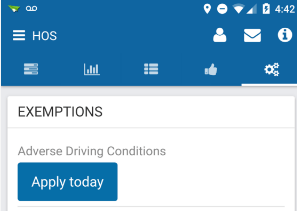 Drivers should learn Adverse Conditions edits are allowed for severe weather or collision roadblocks. However, things like regular traffic delays are not Adverse Conditions. Drivers are required to have a visible ELD mounted on their vehicle. This rule especially affects drivers who use tablet or smartphone devices. A lot of drivers have a habit of putting phones and tablets in their pocket or on another seat. Unfortunately, that habit can lead to an ELD mandate fine. 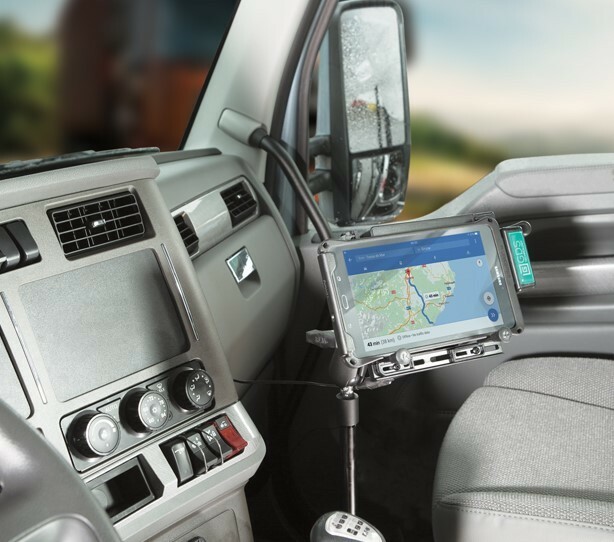 Fleets should equip each vehicle with a tablet or phone mount. Additionally, the mounts should be tiltable for outside view and should be flexible to allow drivers to remove them during inspections. How can first-time ELD users (or Canadian companies gearing up for the Canadian mandate) avoid fines? Some people naturally delay implementation to save money. “We will save our money by waiting until the last possible moment and then buy ELDs,” said a lot of fleet managers before the ELD deadline. In fact, some people even waited until March, the month before ELD enforcement, to use ELDs. Consequently, drivers had a few days to learn the entire system. Naturally, these are the drivers that get confused with ELDs and earn fines. In the end, the business might lose more money from ELD fines than saving money from delaying ELD purchases. Next, businesses need to host more effective training. 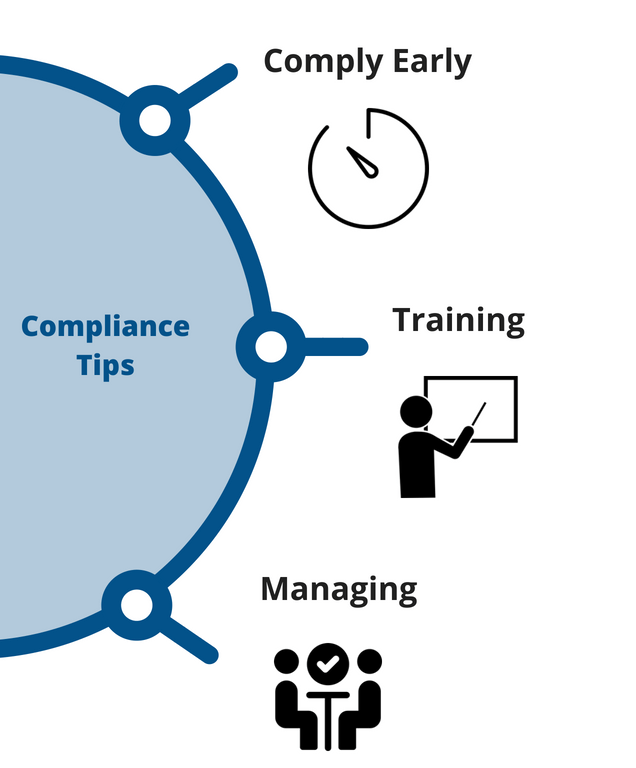 Good training is the best way to avoid ELD fines because drivers learn how to use ELDs to pass inspection and how to respect the system instead of trying to bypass laws. Finally, it’s a good idea to monitor fleet drivers. 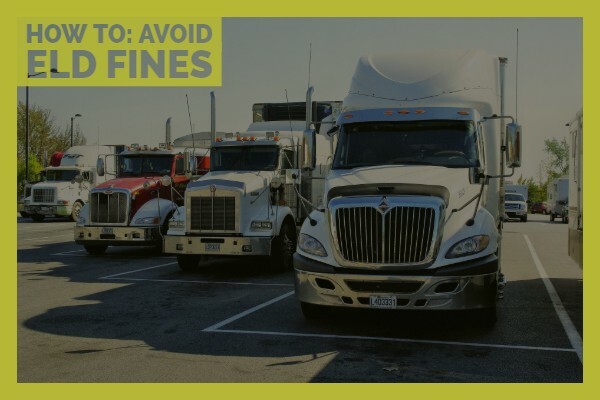 Many fleets don’t realize that their drivers skim hours until the fleet picks up fines and loses safety compliance scores. Rather than risking fines, fleets are much more successful when they internally monitor their drivers with HOS compliance reports. Need more training on ELDs? Click here for a Driver’s Starter Guide.